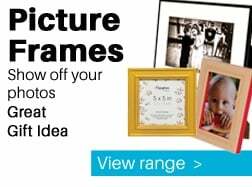 This entry was posted on September 13, 2018 by Gaz from Cameraworld London Branch. The show has ended; the curtain has come down; the barman has called last orders, and the cleaners are sweeping up. After an incredible few weeks both leading up to the show, and the show itself, we hope you have enjoyed following our feed bringing you the latest news and opinions. Our team are currently making their way back to Blighty to prepare for the arrival of the many products announced over the last few days and weeks. Many of these fantastic (and frankly gorgeous) new cameras, lenses and accessories will feature at CameraWorld Live: London which takes place in Central London, some of which will have their first "hands on" appearance in the UK. 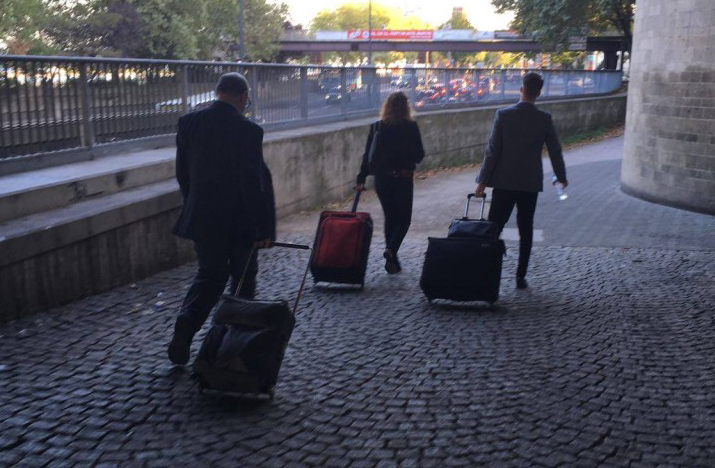 So, from our team in Cologne (and from our online team back in London), we'd like to thank you again, and we look forward to seeing or hearing from you soon. Just a final re-cap then of everything and what might be appearing at our London show..
We've had a quick run over to some friends at the IRIX stand as the word around the exhibition halls is that the new IRIX 150mm f2.8 Macro Dragonfly lens is something special. To be honest, considering the quality of IRIX lenses, we wouldn't expect anything else. The pin sharp quality of this lens is truly breathtaking. With the new Dragonfly build quality, this lens feels like its ready to be put through its paces by the most demanding of photographers. The Dragonfly finish is whereby the aluminium frame has been enclosed in an external structure made of aluminium-magnesium alloys and composite elements. The internal focusing means that regardless of the distance from the subject, the lens doesn't extend at all beyond its shape. Its also worth pointing out that we hope to have as many of the new products available for you to try out at our massive show at the ends of October. 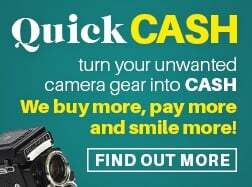 CameraWorld Live: London will be the place to see all the latest cameras, lenses, and accessories whilst getting our FAMOUS SHOW DEALS. With experts on hand to answer your questions, seminars with professional photographers discussing their best tips, hints and best practices, this is one day you cannot afford to miss out on. We've had a wander over to see some friends at the Sigma Imaging stand to check over the latest lenses that were announced only a few days ago. 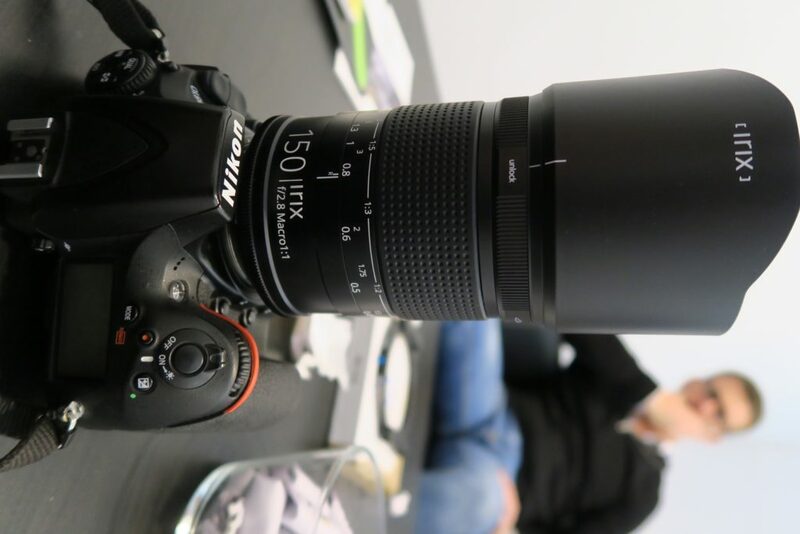 As soon as we walked in to our meeting, we were instantly drawn to the behemoth that is the 10x Telephoto Zoom lens: 60-600mm f4.5-6.3 DG OS HSM Sports. 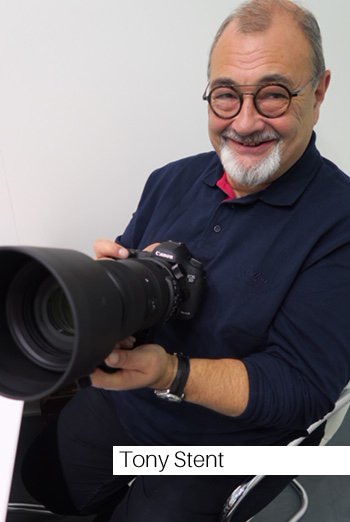 Yes, it is a big lens, but as Director, Tony Stent said, it feels beautifully balanced and not as heavy as you might imagine when you put it on a camera body such as a Canon EOS 5D. Once pricing is confirmed, we will let you know this stunner will be available. Hiding to one side was the new 56mm f1.4 DC DN Contemporary. This is, (no two ways to argue this), beautiful. The quality is really stunning and the resultant pictures will genuinely speak for themselves. Whether using it on a Sony E-Body or Micro FourThirds body, this is one lens that should really be part of of your portraiture kit. Y'know, when we were younger, going out for a few drinks used to be fine - we could handle it. But after a few bottles and some schnapps, we needed a bit of time to recover. Apologies for not posting anything yesterday - we promise never to do that again (or go near schnapps, ever, ever again). 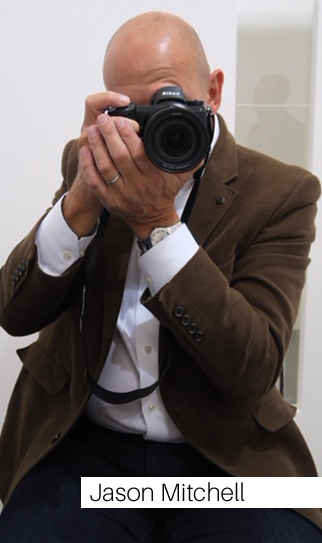 However, that did not stop us from seeing our friends from Intro 2020 to peruse some of the latest accessories coming to CameraWorld over the next few months. We had a good chance to play with the newest offerings from world renowned lighting company Metz. 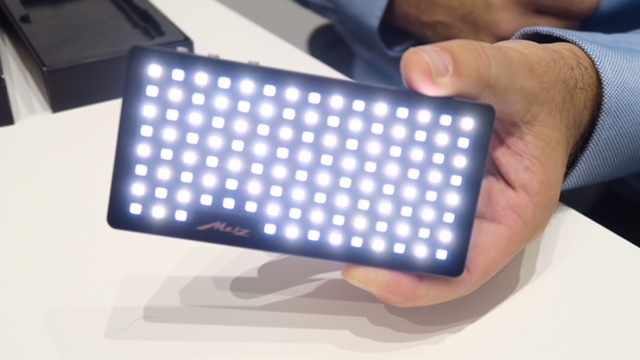 The new Metz mecalight S500BC is a powerful LED video light in a high-quality aluminium housing. : the mecalight S500 BC is 13 cm long and as flat as a smartphone. Thus the light fits in any camera bag or pocket, and will become your practical companion on any trip. 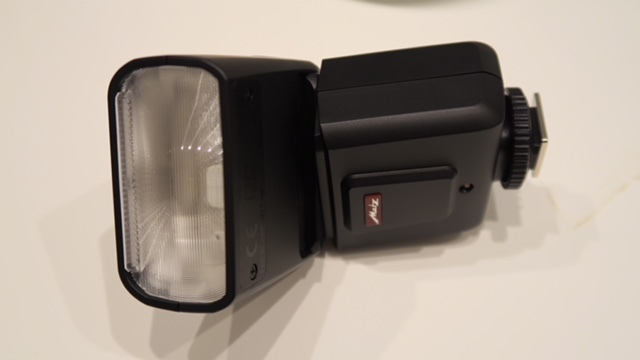 Next on the table was the Metz mecablitz M360 - a flashgun designed to be easy to use. 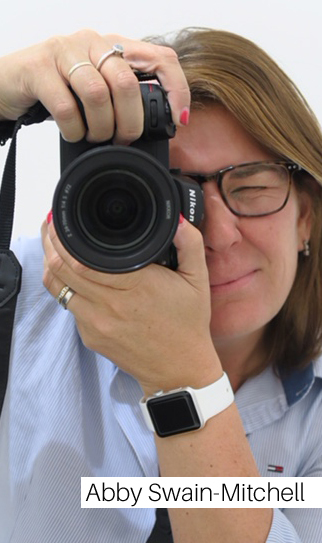 It can easily be mounted on any camera and, with its self-explanatory operation, is a reliable companion for many photographers, who especially appreciate speed, for example when photographing events and outdoors. Metz is expanding the M-series of the successful mecablitz M400 as a first step with the mecablitz M360 high performance. With its 190 gram weight and compact size, the mecablitz M360 is not only lightweight, but is also easy to use, making it perfect for beginners. It hardly needs any space in the camera bag, it is instantly plugged into the camera - and you can use the flash straight away. Only two buttons are necessary to control it: The power button turns the flash on and off; the second button displays the various operating states of the M360 (flash ready, exposure OK, standby* etc.) and triggers a test flash. The S500SC will be available from October while the M360 is due in November. Now, for those who love 'all good things that come in small packages', this could be right up your street. 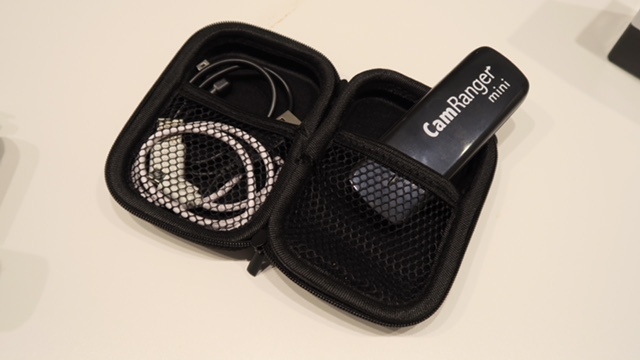 The CamRanger Mini is a stand-alone device that connects to select Canon or Nikon DSLR cameras with a USB cable. It creates its own WiFi network that your smartphone or tablet can connect to. The free CamRanger app then enables control of the camera. There is no need for an existing Internet connection or other equipment. 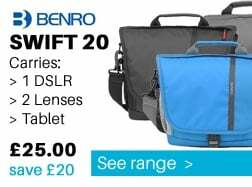 Much like its bigger previous incarnation, whilst using the easy to use app, you can wirelessly stream from the camera to your smart device, change the focus point, adjust aperture, shutter, image format and much more. This is due to CameraWorld within the next few weeks. In the entire furore surround the latest Panasonic products, it was easy to miss the announcement that Panasonic are working on something beautiful. They have announced the development of the LEICA DG VARIO-SUMMILUX 10-25mm / F1.7 wide zoom digital interchangeable lens (35mm camera equivalent: 20-50mm). It is the world’s first F1.7 wide-angle zoom lens for the Micro Four Thirds (MFT) system. The 40mm F1.4 DG HSM Art is Sigma’s first lens developed originally to live up to the sought-after angle of view and performance standard for a benchmark cine lens. This lens effectively arranges three FLD (“F” Low Dispersion) glass elements and three SLD (Special Low Dispersion) glass elements to correct axial chromatic aberration and magnification chromatic aberration. Designed for exceptional sharpness at maximum aperture, this lens excels at available light photography. In addition to the new lenses, and as a further development to the previously mentioned L-Mount Alliance, Sigma have stated that it intends to create it's own Full Frame camera whilst adopting the L-Mount for the Foveon Camera. 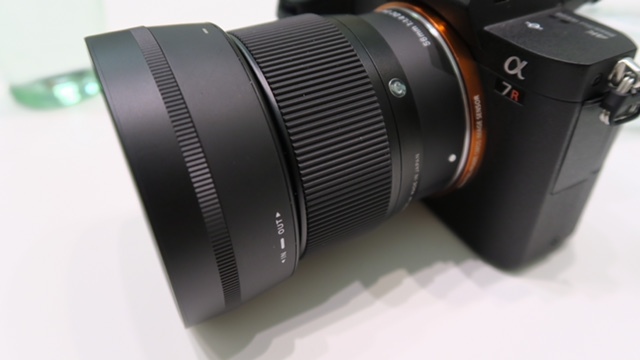 Sigma will allow existing users to adapt or convert SA mount lenses to the L mount. The full-frame L-mount Foveon will arrive in 2019, according to Sigma CEO Kazuto Yamaki. 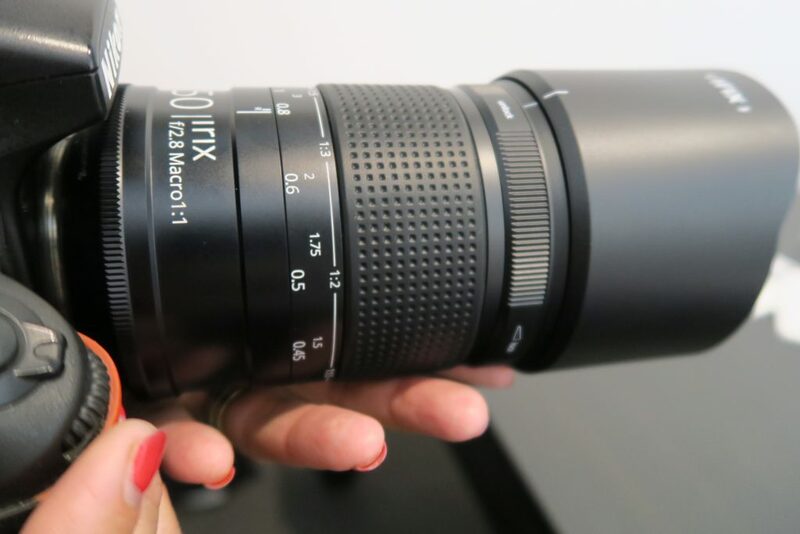 The company will produce its first native L-mount lenses in 2019, too. He also said the company would not create any more cameras using its proprietary SA mount. However, existing SA-mount users will not be left out in the cold: the company will be able to convert some SA mount lenses to L mount. Those who want to retain SA compatibility will alternatively be able to use an SA-L mount adapter. Sigma will also make a Canon EF to L mount adapter available, which will be interesting to Sigma, Leica and Panasonic users. Sony have also announced that there will 12 more E-mount lenses bringing the total to 60. No details on what the lenses will be or any of the specifications. This comes after Sony announced the 24mm f1.4 FE GM (SEL24F14GM) only last week. In addition, the company emphasized its focus on both speed and integrating artificial intelligence into its approaches. One application of the latter Sony talked about was using machine learning to train its Eye AF algorithm to detect and track eyes of animals, with benefits to both wildlife and pet photography. No new cameras announced at Photokina, but there is due to be an additional press conference in the middle of October which may contain something there - stay tuned. Looking around here is like a child being in either a sweet shop or toy shop. 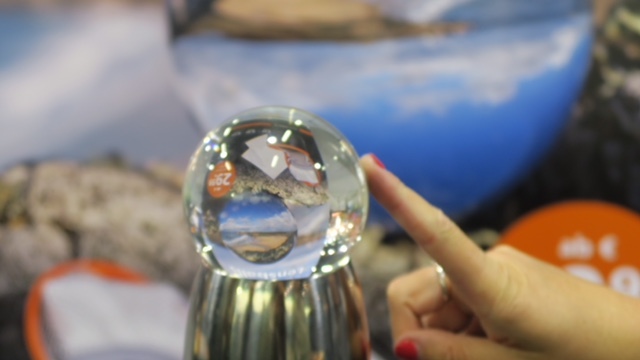 One thing that has pulled a lot of people over to their stand is the Rollei Lensball. This glass sphere allows photographers to get a surreal effect when looking through it. We've just come out of a meeting with our friends at Nikon where we got a chance to handle the new mirrorless Z-cameras. These new models have, in the last few weeks, started a mini-mirrorless revolution with Nikon, Canon and now Panasonic as well as Sigma announcing new models to join Sony within this arena. We have also been informed that the Z6 will be available in our stores from November 29th. We will bring you more information as well as any special offers closer to the date. By hook and crook, we have made it to Photokina - and we've got some viewing to do. So lets recap over a phenomenal day yesterday was. To begin the day, we heard about a new 'strategic alliance' between Panasonic, Leica and Sigma to work on developing a new lens mount. This was closely followed by the announcement that Panasonic would be entering the Full Frame Mirrorless market with not one, but two models using the L-Mount based on the Leica system. The two Lumix S cameras, S1R and S1, are being developed to join the likes of Canon, Nikon as well as established leader Sony in what is fast becoming the latest key area of the photography industry. As noted yesterday, the 47MP S1R and the 24MP S1 will be built around Leica's L mount, allowing their use with existing Leica lenses as well as lenses promised by both Panasonic and Sigma. Specifics are scarce but Panasonic says both cameras will be weather-sealed and will feature 'high resolution' electronic viewfinders. 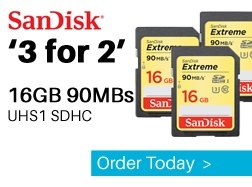 Both feature top-plate settings LCDs and feature both an XQD and SD card slot. They include the dual-hinge tilting rear LCD panels that Fujifilm has used on its recent high-end models. These tilt up or down, then have a second hinge along one side to allow tilt in a third axis. Following Panasonic's announcement, Fujifilm leapfrogged the Full Frame arena with their announcement of a new mirrorless medium format 'rangefinder style' camera - the GFX 50R. The new camera has a lot of the same internal mechanics of the 50S but adds a new design, lightweight body as well as Bluetooth capability. To the untrained eye, it is very similar to the X-E3, albeit a lot bigger. It weighs 145g (5.1oz) less than the 50S yet retains that camera's build quality and weather-sealing. Not surprisingly, the 3.69M-dot viewfinder is smaller, though its 0.77x magnification is nothing to sneeze at. The LCD uses a conventional tilting mechanism, rather than the 3-axis design on the GFX 50S. The top plate has dials for shutter speed and exposure compensation, and the four-way controller has been removed, with swiping on the screen serving as the replacement. The 50R continues to use a 51.4MP, 43.8 x 32.9mm medium-format sensor, X Processor Pro, 3.2" touchscreen LCD and dual SD card slots that support UHS-II media. It uses the same NP-T125 Li-ion battery as the GFX 50S and should last around 400 shots per charge. 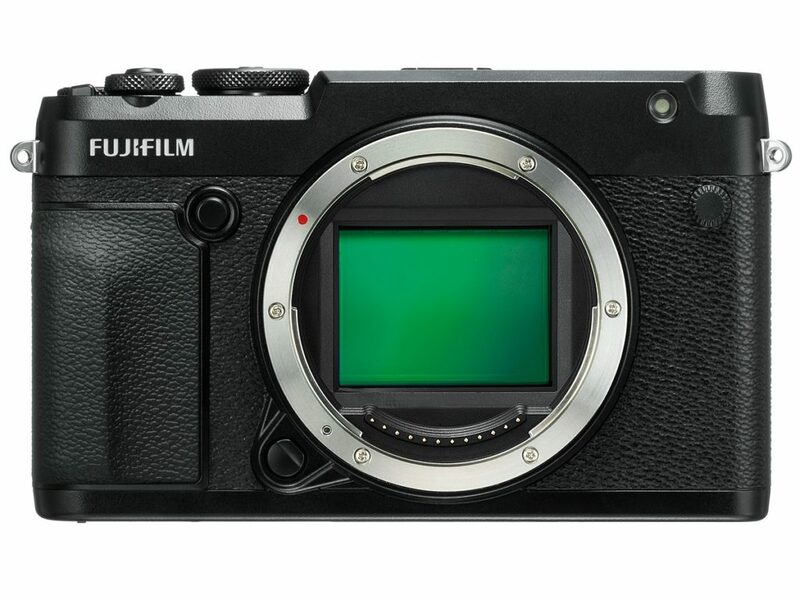 Fujifilm have also announced that they are developing a a new GFX model that will boast over 100MegaPixels. 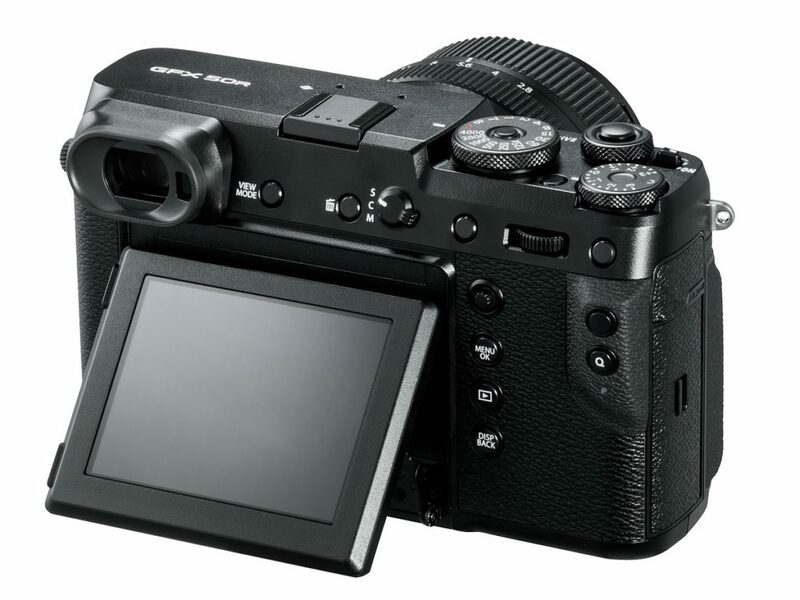 According to their press release, the new model (possibly called the GFX 100) will be the world’s first medium format mirrorless digital camera to feature an image sensor that has phase detection pixels across the entire sensor, outperforming contrast detection autofocus in tracking a moving subject and delivering greater accuracy in continuous autofocus. This model will also become the first medium format digital camera to feature in-body image stabilization mechanism, to significantly broaden the scope of achieving ultra-high resolution handheld images. The camera boasts substantially improved video recording capability compared to that of the GFX 50S and GFX 50R. It will be the first mirrorless digital camera equipped with an image sensor with the size of 43.8mmx32.9mm to support 4K video recording (4K/30P). This model will be Fujifilm’s highest performance camera that offers unrivalled innovation and versatility, as seen in the three “world’s first” features, satisfying all the needs of photographers at a higher level. 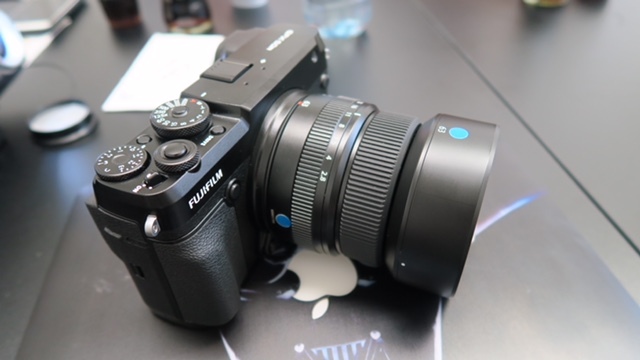 The camera is equipped with a 102MP “FUJIFILM G Format (“G Format”) image sensor, specifically developed for this model. 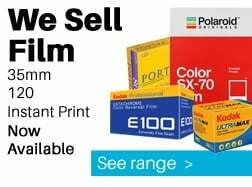 It delivers the highest image quality in the history of Fujifilm when combined with the fourth-generation “X-Processor 4” image processing engine that delivers superb colour reproduction Fujifilm is famous for, and FUJINON GF lenses that offers ultra-high resolving power. Phase detection AF coverage on the entire sensor (approx. 100% coverage) enables fast and highly accurate autofocus regardless of your subject’s position within the frame, providing a level of performance that defies the current standards of medium format digital cameras. In unveiling an updated GF Lens Roadmap, Fujifilm are currently working on three new GF lenses. Fujifilm has announced its GFX 50R, a rangefinder-styled version of the company's GFX 50S medium format camera. The 'guts' of the two cameras are the same, with the differences being the design, weight and Bluetooth capability, all at a considerably lower price. The GFX 50R, which looks like a large X-E3, is a more portable, lighter version of the GFX 50R. 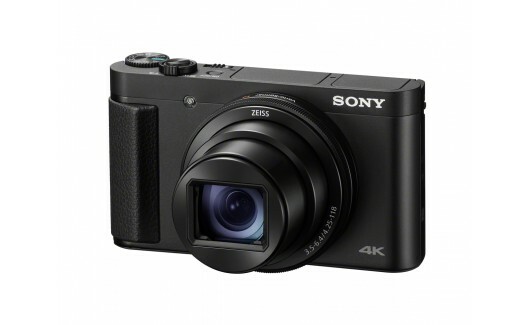 It weighs 145g (5.1oz) more than the 50R yet retains that camera's build quality and weather-sealing. Not surprisingly, the 3.69M-dot viewfinder is smaller, though its 0.77x magnification is nothing to sneeze at. The LCD uses a conventional tilting mechanism, rather than the 3-axis design on the GFX 50S. The top plate has dials for shutter speed and exposure compensation, and the four-way controller has been removed, with swiping on the screen serving as the replacement. We haven't even got to the airport yet and our phones have started buzzing manically. Out of the starter blocks was the announcement that Panasonic, Leica and Sigma have joined together to form the L-Mount Alliance. What?? Leica, Panasonic and Sigma have announced a strategic partnership on the full-frame mirrorless L-mount. This new alliance allows both Sigma and Panasonic to develop cameras and lenses for the system. Leica stressed that the mount's wide diameter and short flange distance allows for compact lens designs, especially for wide angle glass. Presently, the full-frame Leica SL and APS-C Leica CL and TL-series cameras make use of the mount. Panasonic has announced it is developing two full frame mirrorless cameras: the 47MP S1R and the 24MP S1. Both will be built around Leica's L mount, allowing their use with existing Leica lenses as well as lenses promised by both Panasonic and Sigma. "We want to suit the needs of the professional photographer"
We've been shown fairly advanced-looking but non-functional prototype cameras, and have been able to squeeze a few details from Panasonic. The company says the 'S' represents cameras that are 'Specialized' for professionals. The launch will be accompanied by Panasonic's professional support service being built-up. "Out of the gate, we want to suit the needs of the professional photographer," the company says. Specifics are scarce but Panasonic says both cameras will be weather-sealed and will feature 'high resolution' electronic viewfinders. Both feature top-plate settings LCDs and feature both an XQD and SD card slot. They include the dual-axis tilting rear LCD panels that Fujifilm has used on its recent high-end models. 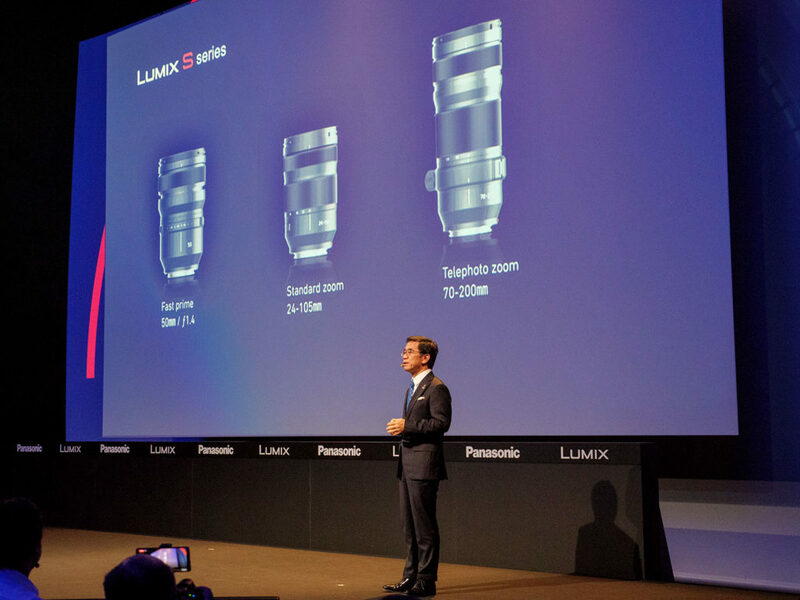 Panasonic unveiling the first three lenses available for its new full-frame system at Photokina. Alongside the two cameras, Panasonic has announced it will introduce three lenses: a 50mm F1.4, a 24-105mm zoom and a 70-200mm 2.8. It has also says it will introduce more than ten lenses before the end of 2020. The cameras come as the latest fruit of a long-running collaboration between Panasonic and Leica but are accompanied by the news that Sigma will join the club and make L-mount lenses. As well as making lenses under its own name, Sigma acts as OEM for other brands, so it has a history of close collaboration. 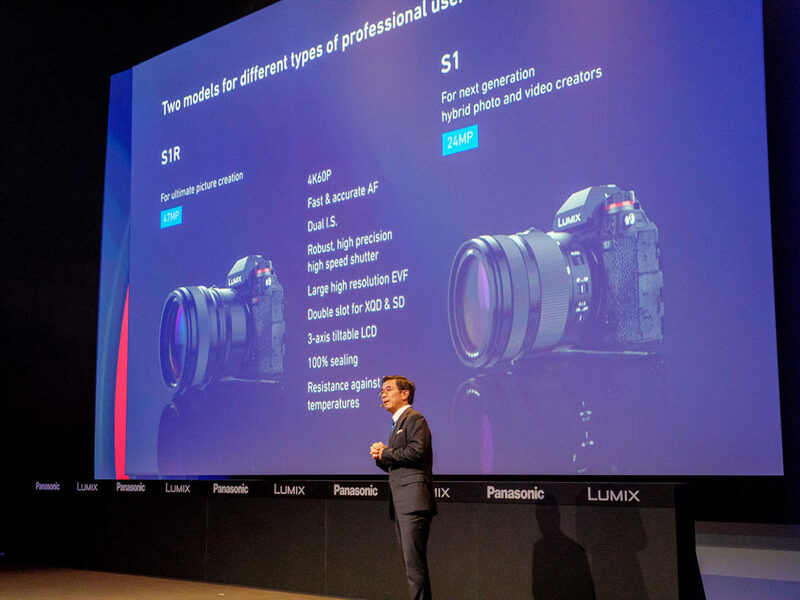 Panasonic will bring a number of its existing technologies, including Dual IS (the combination of in-body and in-lens stabilization to provide a greater level of correction than either could provide alone). And, while Panasonic says it isn't especially focusing on video shooters, both will be able to shoot 4K60p video. Both cameras will use Panasonic's Depth-from-Defocus system for autofocus. 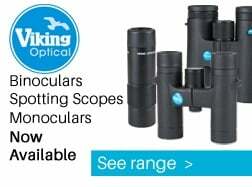 This takes information about each lens's out-of-focus characteristics to help the camera assess the distance to the subject, to support its contrast-detection AF system. Perhaps tellingly, this description closely matches the way Leica discusses the autofocus in its SL. 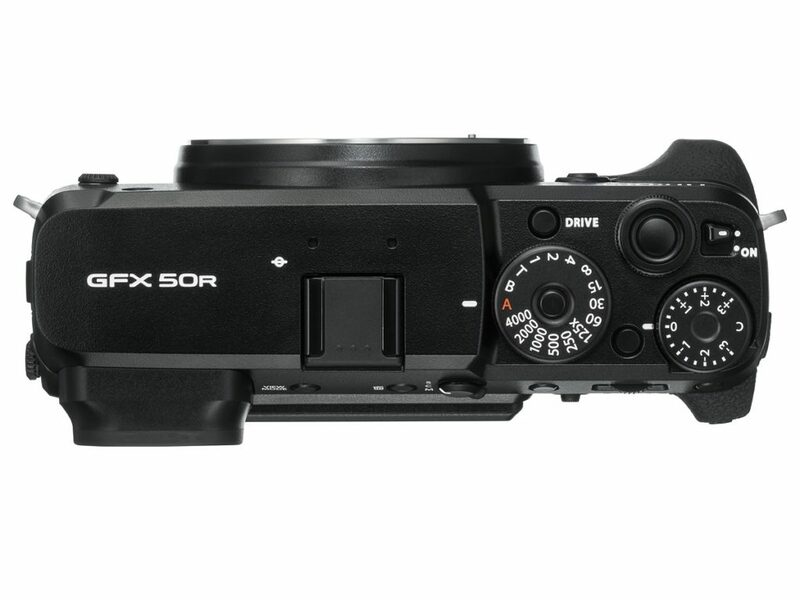 The unveiling of the S1 and S1R full-frame Panasonic mirrorless cameras at Photokina. The company says the 24MP S1 is expected to be used around 70% for stills and 30% for video, targeting people such as wedding photographers and photojournalists. The S1R will be "purely for photographers," the company says, with landscape, commercial and portrait photographers being explicitly named. Following the decision of Canon and Nikon to use short, wide mounts, it's interesting to see Panasonic opt into a mount that's considerably narrower (around 50mm, rather than the 54mm of Canon's R mount). We asked Panasonic about this and were told: "Leica designed the original 35mm camera: they know what they're doing." Panasonic stressed that it will continue to sell and develop the Micro Four Thirds system in parallel with its L-mount system, which will be targeted at high-end users. "All our bags are packed; we're ready to go! We're standing here, outside the door..."
...to be fair, it sounded much better when this was sung in the shower! 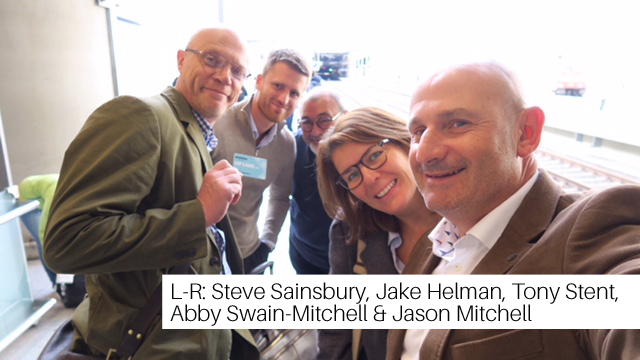 CameraWorld Live: London will be held at 155 Bishopsgate in the heart of London. This show is London's BIGGEST photography event showcasing the very latest models and offers from leading brands. We hope to have models of all the latest products announced at Photokina and have already confirmed that we will have a working NIkon Z6 and Z7. And yet only a few metres away will be the Canon EOS R in one direction, and the Sony A7/A9- Range in the other. This will be the only place in the UK where you can compare the latest full frame mirrorless cameras within a few metres of each other. Along with a huge range of seminars exploring the best tips, hints and tricks for getting the best pictures, you'd be mad not to come along. September 20th - Sony have taken the wraps of their latest addition to the gorgeous G-Master Lens range. SEL24F14GM is a 24mm f1.4 Wide Angle lens which is a remarkably small and light lens compared to its peers, with a weight of just 445 grams (15.7 ounces). 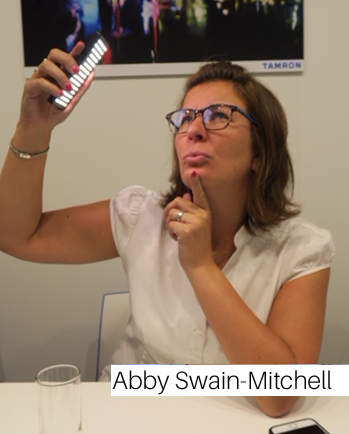 In a change of direction from traditional GM lenses, which tend to be large so as to not sacrifice optimal performance, this lens bucks the trend by prioritizing both optical performance and size and weight. The 24mm F1.4 GM has a total of 13 elements, including two XA (extreme aspherical) which significantly reduce coma, and three ED elements. Sony's Nano AR coating reduces flare and ghosting, and so far, we're impressed by the lack of distracting flare artifacts and high contrast images even when shooting into the sun. 11 aperture blades yield smooth bokeh and circular out-of-focus highlights even when you stop down to F2.8, as well as 22-blade sharp sunbursts if you stop down further with bright, pinpoint light sources. Focus is driven by a new, evolved Direct Drive SSM motor that deliveries 'approximately three times greater thrust' than the previous system, but with high positional accuracy, according to Sony. For those who don't know about Photokina, it is a trade fair event held in Germany for the photographic and imaging industries. This is the last time it will be classed as a biennial event as from 2019 it will be held yearly. 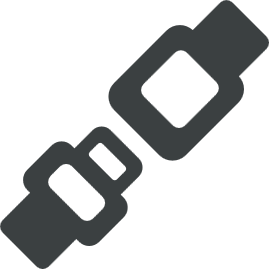 It is also a time that we see many manufacturers announce major models. The show hasn't even begun and we've already had some major announcements from Panasonic, Nikon, Canon and Fujifilm. 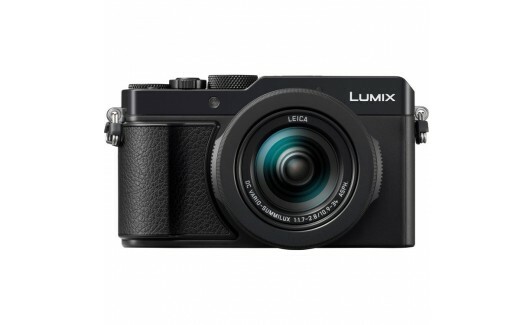 On August 22nd, Panasonic announced a much anticipated replacement for the popular Lumix LX100. 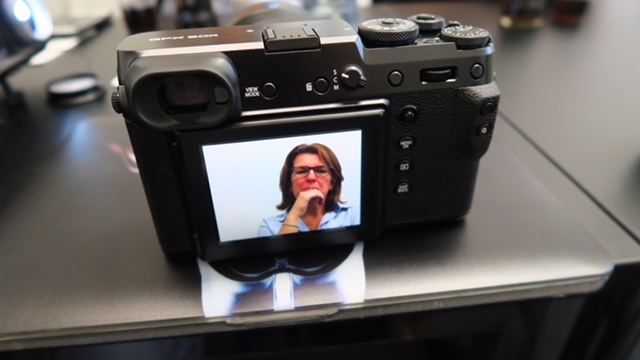 The LX100 II offers a mulit-aspect 17Millions pixels sensor (taken from the GX9), TouchScreen control and much more. On August 23rd, Nikon set out thier stall with the new Full Frame Mirrorless cameras, the Z6 and Z7 as well as range of lenses and adapters. 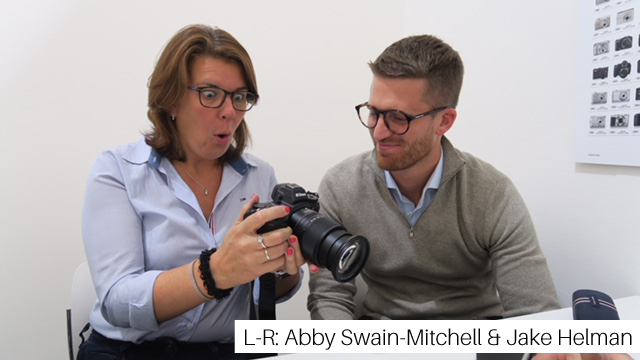 After weeks of teasing with youtube videos, the cameras signal a major shift in focus for Nikon and firmly plants their feet within the ever growing mirrorless market. A few days later, they further introduced the D3500 - the latest addition to the insanely popular D3000-series. Smaller, neater yet still packing a punch, this improved power consumption model is bound to be another big hitter for those looking at starting their journey in to SLR photography. Tamron announced a second generation version of the ultra wide 15-30mm lens for Canon and Nikon users. 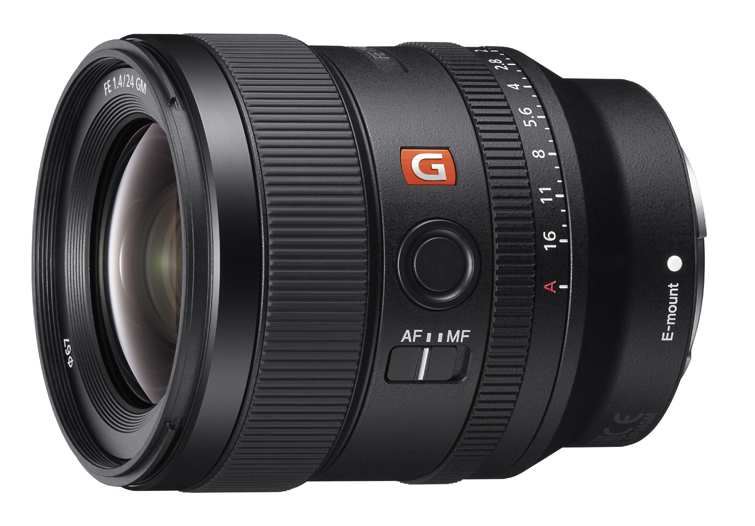 The 15-30mm f2.8 Di VC USD G2 offers new elements and coating as well as enhanced vibration correction. Along with the new Tamron lenses, Sony announced a replacement for one of our more popular cameras. The Cyber-Shot HX99 (replacement for the HX90) boasts 4K Movie, with Full Pixel Readout, 12.2 MP CMOS Sensor and a beautiful Zeiss 24-720mm zoom lens. Two weeks after the Nikon announcement, Canon sent the industry in to a flurry on September 5th with their announcement of the EOS R; a 30MP, Dual Pixel AF, 4K/30p Movie Full Frame Mirrorless camera. Supplied with an adapter for EF and EFs lenses, this new mount camera (RF Mount) adds to Canon's 30 years of EOS innovation and now offers more choice for photographers considering upgrading their cameras but keeping the weight down. Only a day later, Fujifilm announced the much anticipated and much rumored X-T3. Already proving a big attraction with a large number of pre-orders, this camera takes elements from the X-H1 as well as the GFX 50s. 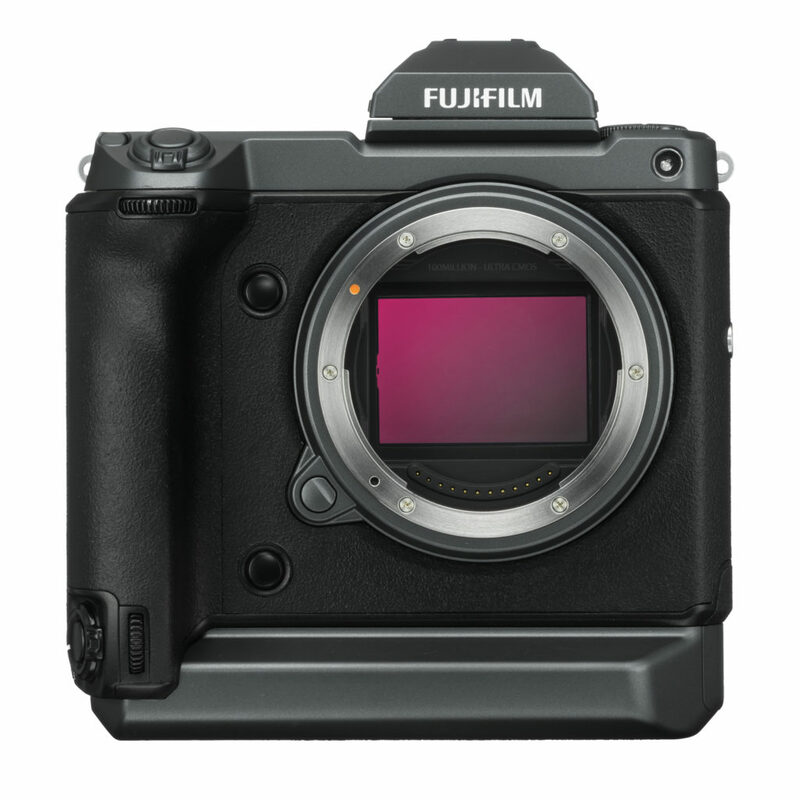 Offering a juicy 26.1MP CMOS 4 Sensor, new X-Processor, 4K Movie and much more, this looks to be a sure-fire winner for Fujifilm.